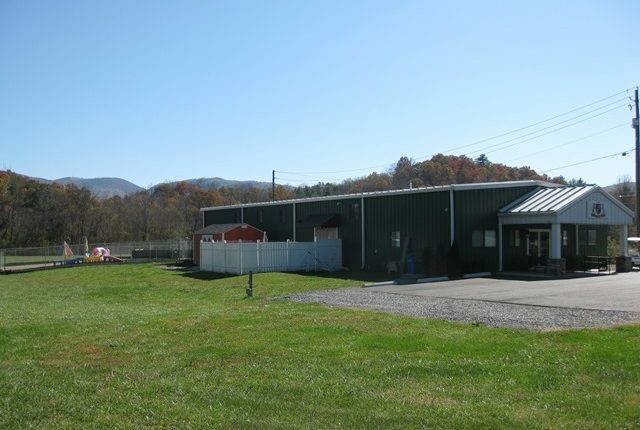 Since 2006 Happy Tails Country Club has been providing Asheville and the surrounding areas with unparalleled pet care through knowledge, compassion, and a dedication to quality. 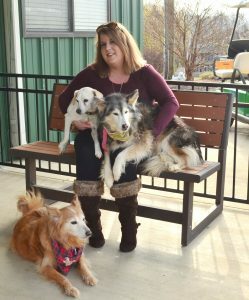 The Happy Tails Staff are a friendly and experienced group of devoted dog lovers, many of whom have been with Happy Tails since it opened. 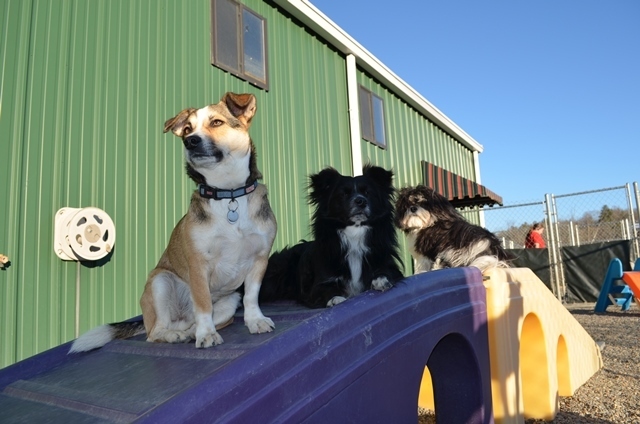 Our managers have over 60 years combined dog experience and we pride ourselves in not only the quality of care we provide your pets but also in the love and affection shown all of our “members” as individuals. 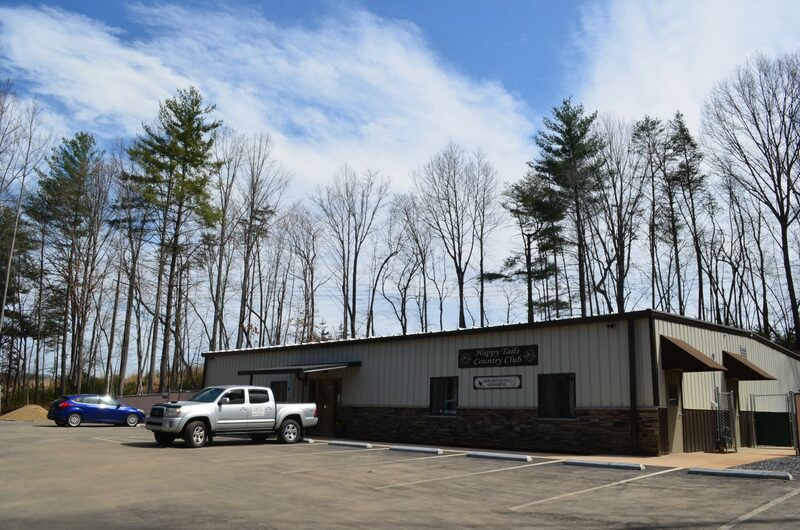 Happy Tails Country Club East is located in the Fletcher/Fairview area on 8 acres of former pasture land, bounded by tree-lined Cane Creek in the back. 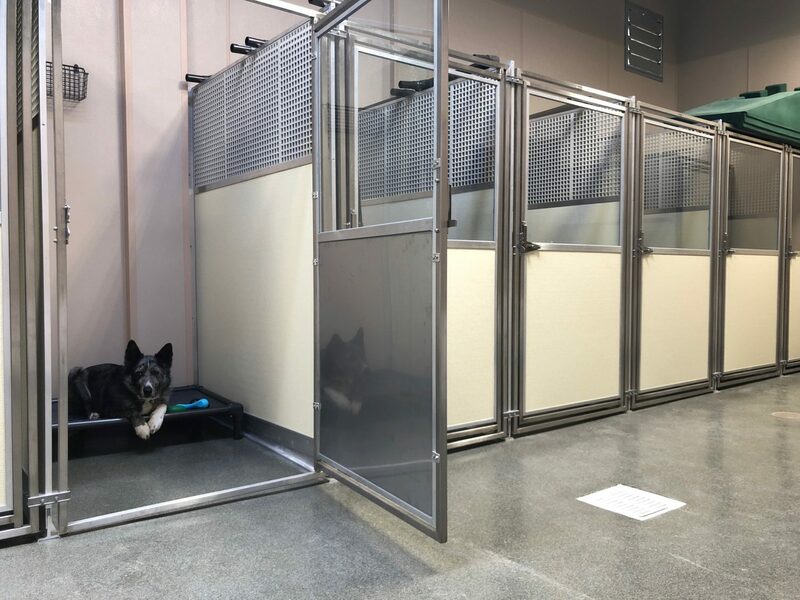 We have a 4,000 square foot Clubhouse that offers 50 Suites in 3 different sizes to accommodate small, medium & large dogs for overnight boarding. 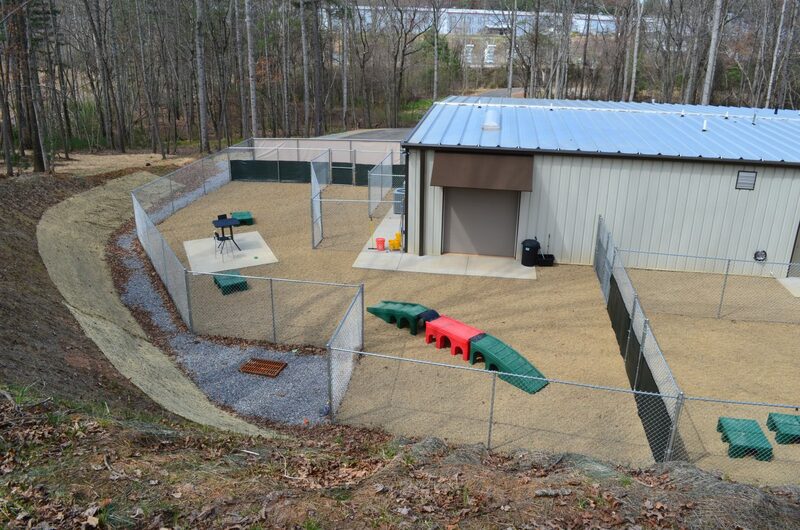 Each suite is furnished with a high quality, off-the ground soft bed made by Kuranda. 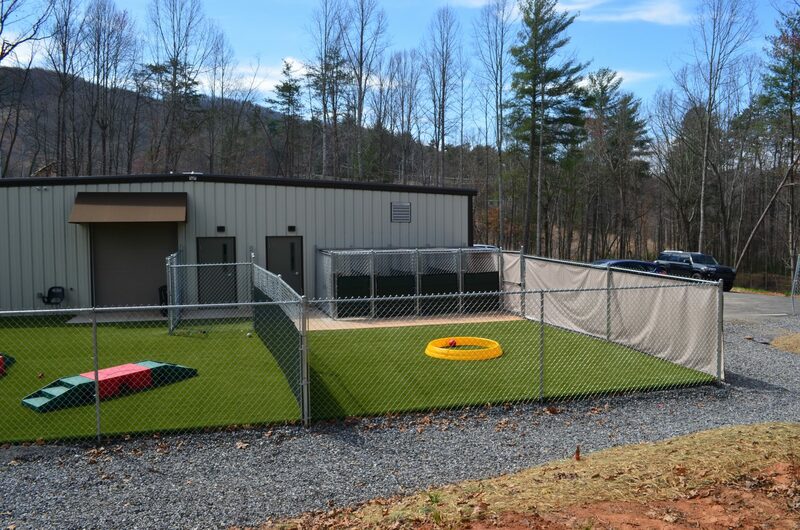 We have 3 large outdoor play areas totaling 10,000 square feet for your dog to run and play with their buddies, sniff and explore, take a dip in the wading pools or simply lounge in the sun. 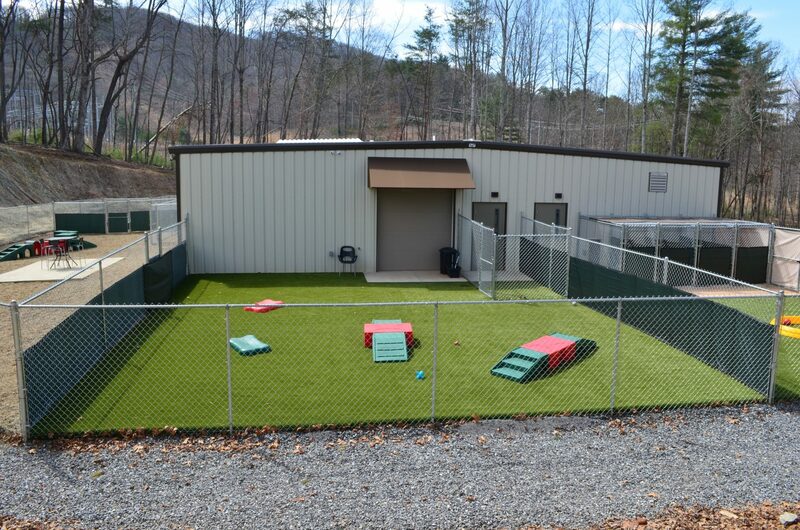 Happy Tails Country Club West is located in the Enka/Candler area and sits on 4 scenic, wooded acres. The clubhouse features 52 Mason Company suites in three different sizes, and three different styles. 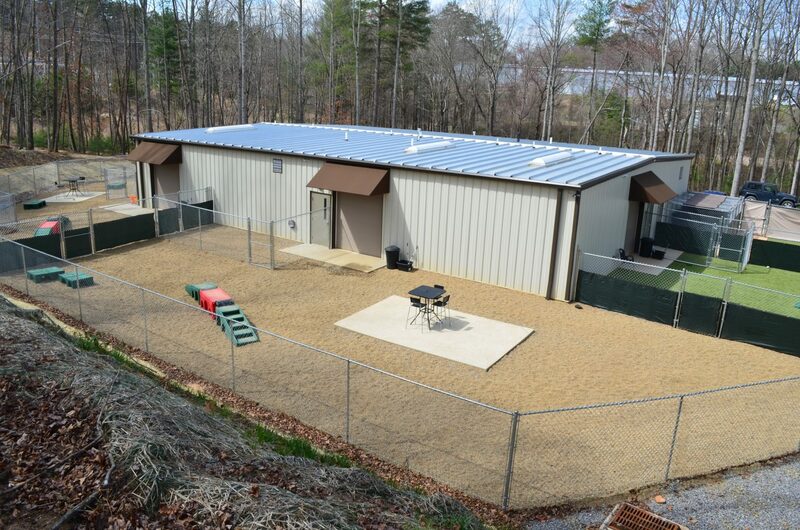 Our 9 luxury suites are specially built with sound proofed walls and doors, and overhead webcams for owners to view remotely. 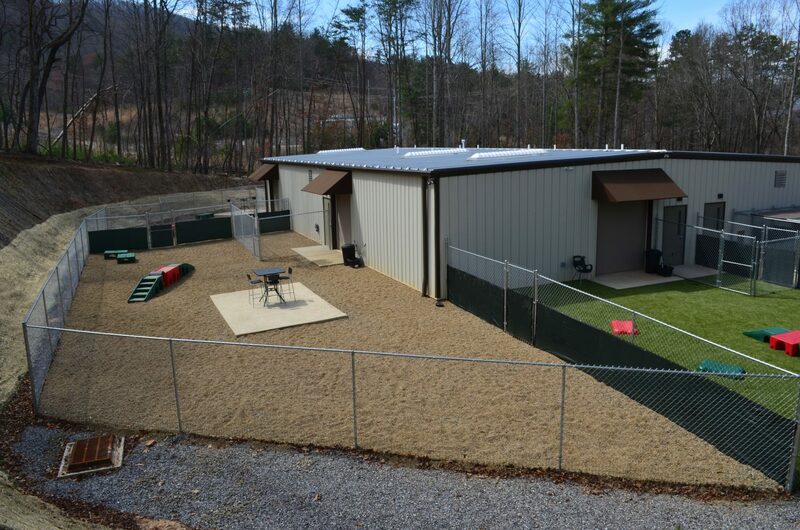 4 of our suites have an attached outdoor run with an separate play yard for dogs who cannot be social due to injury, illness, or behavioral issues. 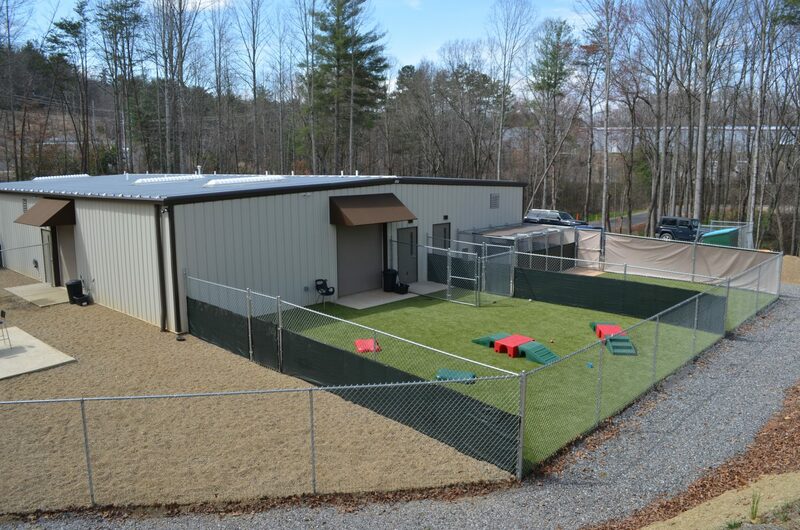 Like our flagship location, our West location has three different indoor and outdoor play spaces to accommodate dogs of different sizes and personalities. 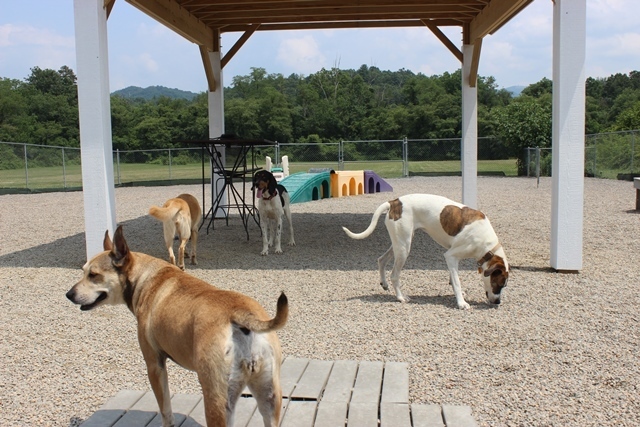 The Hound Lounge offers full service grooming to Happy Tails clients and the general public. 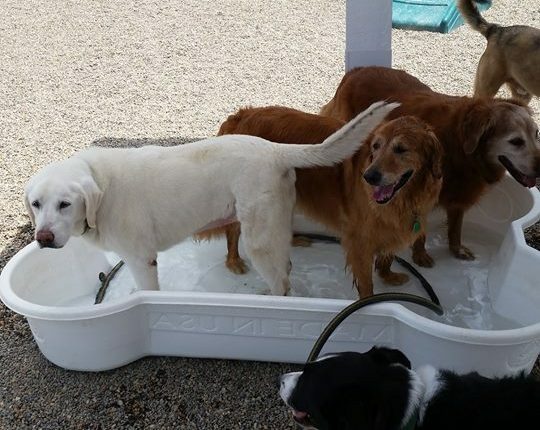 Jessica is our office manager and can be found at both locations during the week. 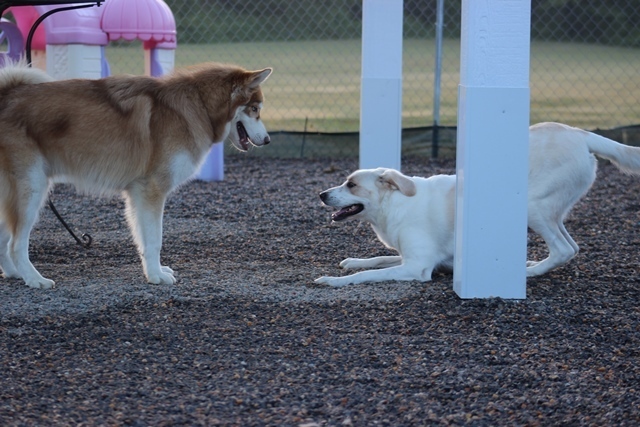 Jessica has been an invaluable part of the Happy Tails team since 2006. 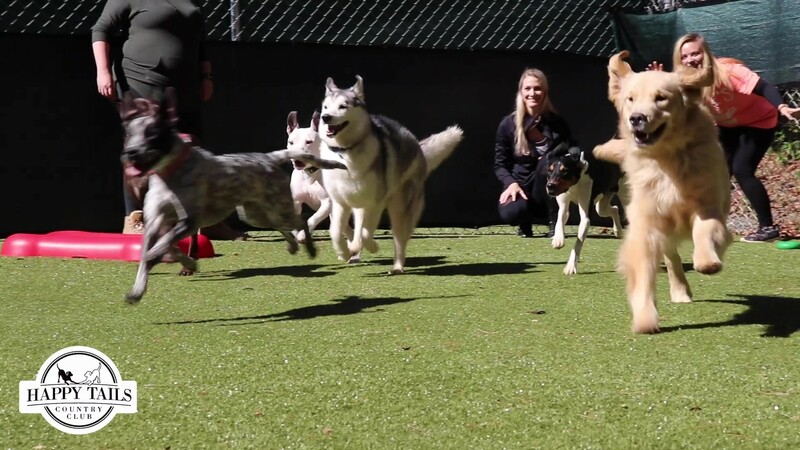 In her free time, Jessica enjoys hiking with her 4 dogs, swimming at the pool and shopping. Kim is our West location manager and certified trainer. 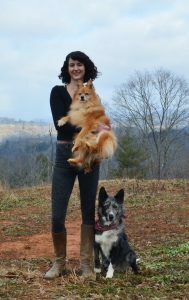 She has been with HTCC since February 2010 and is a certified trainer through the Certification Council for Professional Dog Trainers (CCPDT). 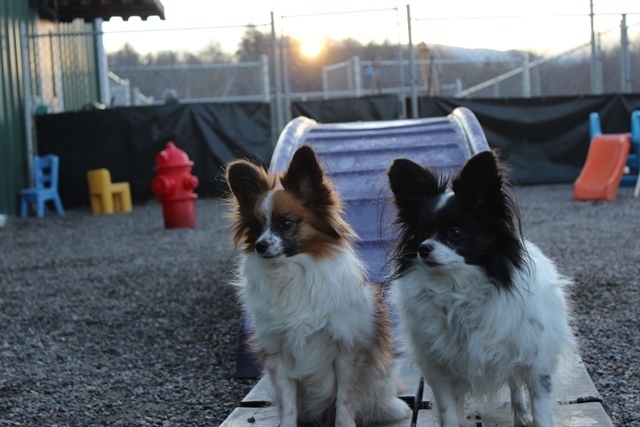 Kim enjoys reading, hiking with her two dogs, and hanging out at home with her chickens and 5 cats.